Adding files, spreadsheets and presentation slides are all informative files that can be uploaded to Facebook. There should also be some music that can be added to Facebook which will stream side by side in the News Feed and will let you entertain your near and dear ones. 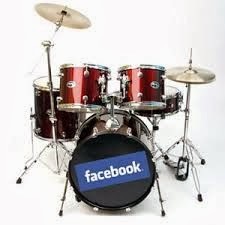 How about some favorite music streaming while you are surfing Facebook feeds!!! Enhance your experience and your fellow visitors on your fan page or your wall with some great music streaming besides. Select the check box of sharing options. Select "Facebook"
After completing all the steps successfully, your file will be seen on your wall. To verify, click on the play button. The music starts streaming. This way you can add any music file to your Facebook wall.